A warm and colourful scarf for winter sports and everyday wear. 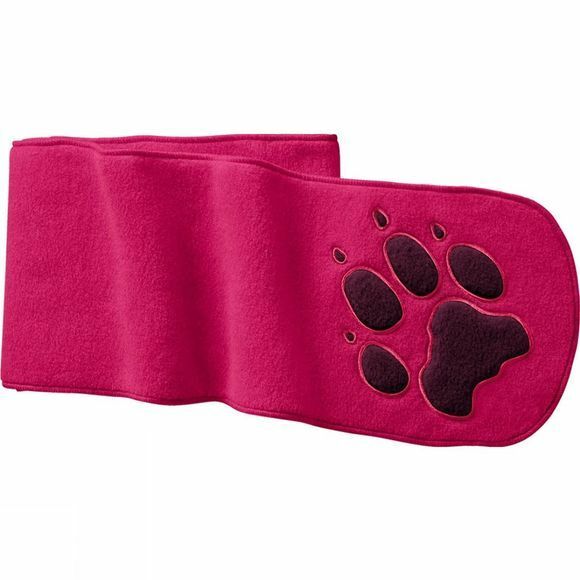 The Kids Paw Scarf from Jack Wolfskin feels soft on the skin and provides plenty of warmth. With its bold colours and big paw print, this scarf is sure to stand out in a snowstorm.